ARC typically follows a commercialization technology readiness process when determining the appropriate approach for project quotation and management. Numerous models exist, two of which are shown below. The Typical Commercialization Chart is useful for straightforward projects with limited Phase 1 and 2 activities where there is much to be learned and revisions are more numerous. These are low Research and more Development projects. This said, ARC takes projects from Prototypes (TRL2) on through to Low Volume Production (10,000 – 30,000 annually) (TRL9). The TRL model is better for more complex projects with extended research and prototyping activity. This model applies to SBIR/STTR projects from such government agencies as DoD, DOE, NASA, NIH and NIST as well as larger and more complex commercial projects. ARC uses MS Project as needed to track and manage the many details of a complex project. 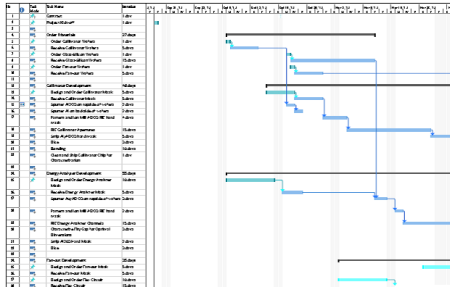 Shown right is a project Gantt Chart for a DOE Phase I SBIR which will be discussed further below. 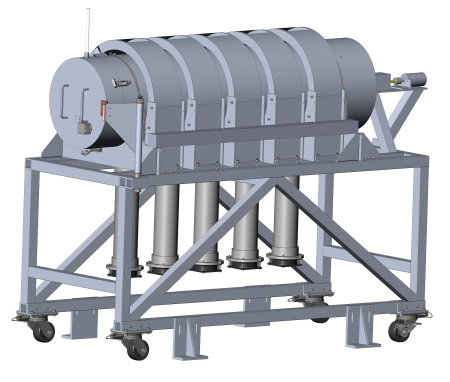 Magnetics, Heat Transfer, Convection and Electrostatics Modules are combined with Solidworks CAD to provide ARC customers with the design verification needed before launching a project. A customer provided ARC’s technical team with a Specification package. The team, in collaboration with the customer’s technical team expanded the written Specification and provided the 3D CAD solid model shown right in Figure 2 along with the Finite Element Analysis (FEA) model in order to fully understand the magnetic and thermal characteristics. 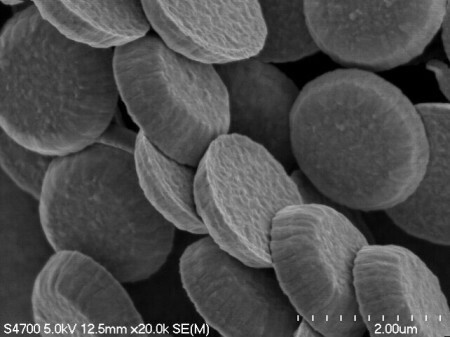 The objective of this SBIR was to develop a process for fabricating gold encapsulated, 1um dia, magnetic particles of various coercivities. 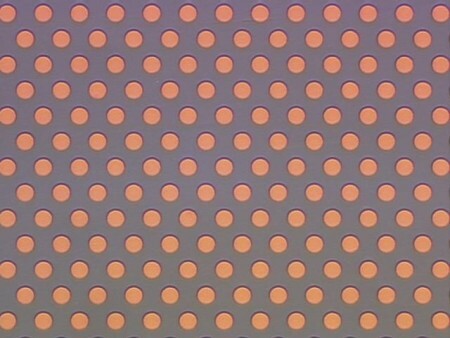 This was expected to be a silicon wafer based process, 4” to start, and patterned using the mask in Figure 6 (right). Figure 6. A Typical mask for 1um Particles with a 2um pitch, only a small area is shown. 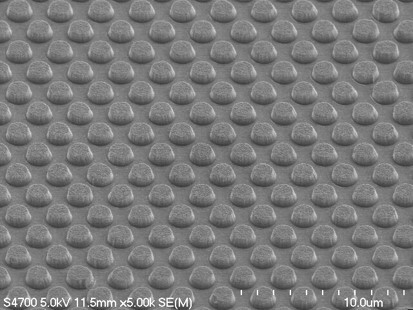 Figure 7 (above) shows typical particles after encapsulation still bound to the wafer. The wafer mask is segmented into discreet areas or mini strips of 5 sub areas of 1 million particles. The strips are diced and then passed through the release process. The free particles are shown in Figure 8 (above). 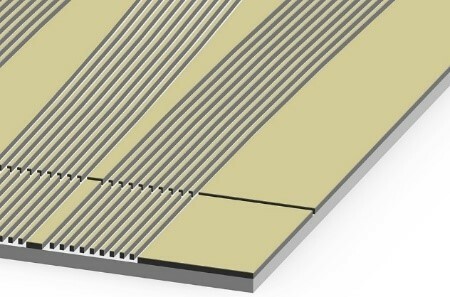 The objective of this DOE Phase I SBIR was to further develop a semiconductor wafer based MEMS level, Ion Spectrometer by combining the Collimator with the Energy Analyzer in the same structure as shown in Figure 9 & 10 (right). 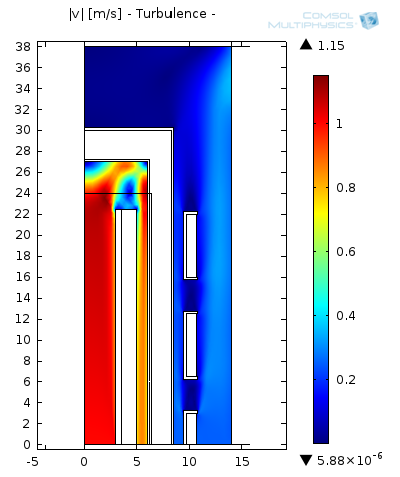 A voltage in distributed across the curved channel walls in order to preselect the ion energies of interest. In Figure 11 (right) the cover/voltage distribution plate is attached. Further, a novel characteristic of this approach is that individual plates can be “stacked” or Hybridized to form Spectrometers for various ion densities from fusion to space. Shown in Figure 12 is stacked version of 5 plates with its cover plate. 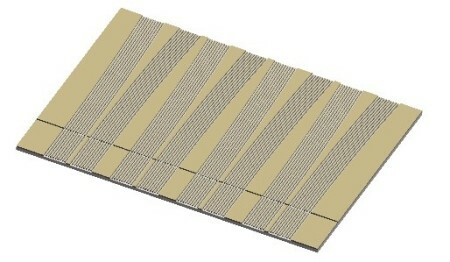 The objective for the Space Micro Ion Spectrometer is approximately a 1 cm cubed device composed of 25 plates. Figure 9. 1.25x 1.75 cm Single Plate Spectrometer with the Collimator and Energy Analyzer sections combined. Figure 11. The single CEA plate with a cover-voltage distribution plate. Figure 10. 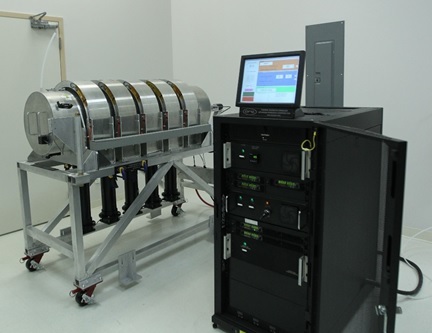 A magnified image of the Collimator and Energy Analyzer (CEA) section.